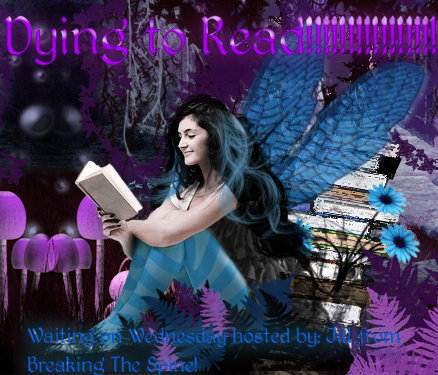 This week the book I’m dying to read is The Girl with the Iron Touch by Kady Cross! 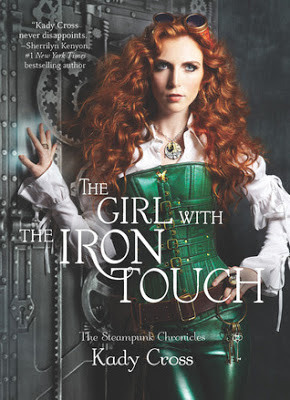 I’ve loved both of Kady’s books in this amazing steampunk world and I can’t wait for more Jack Dandy! Finley Jayne, Griffin and their crew are stunned when one of their own is kidnapped. Emily has a way with machines—she can literally talk to them. But the automatons who abducted her aren’t ordinary machines. They’re almost human—and they want Emily to do something as horrifying as it seems possible. To save Emily, Finley must contact the highly unsettling Jack Dandy and face her feelings for two vastly different men, even as Griffin’s nightmares threaten to turn into a reality that might just end them all. I have the first two books of this series but have still yet to start them. I love the covers. Nice choice. I chose this book as well. I so want to see what happens next. Come visit me as well. I haven't read the first two books, but I love the covers!! I really like steampunk so I really should read these sometime. I really need to start reading this series soon! I love the covers of the books. Thanks for spotlighting. Love that cover! Sounds like a really interesting read.